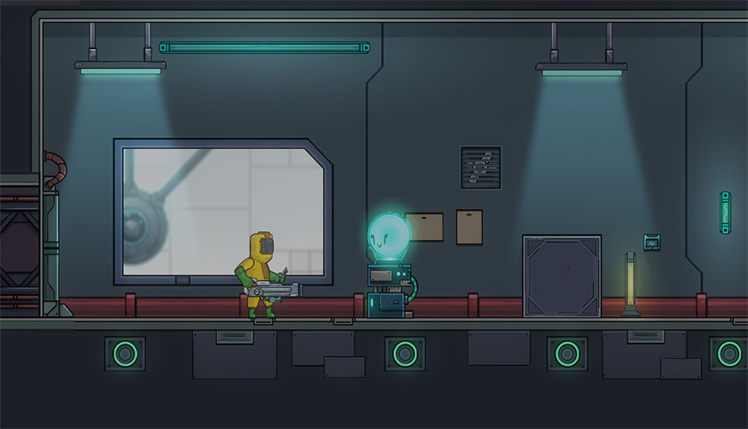 Developed by Odyssey Entertainment, Transmogrify is a Sci-Fi puzzle platformer video game, available for the Windows, Mac OS X, and Linux operating systems. Transmogrify is a surrealist mix of 'cute' and nightmarish. 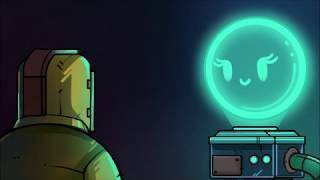 Additionally, the game follows in the footsteps of Portal and Braid, focusing on non-lethal brain teasing rather than the tried and true 'shoot em up' style that's ubiquitous in the gaming industry. 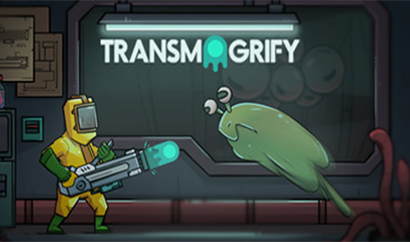 Transmogrify is the brainchild of developer Andrew Strauch and art designer Tim Tsang. Additionally, it's based on the simple premise of using a weapon that isn't deadly. Nick White joined the team later, providing a musical score, and the three comprise the whole development team. To put this into perspective, the original Mortal Kombat video game development team consisted of four developers. Transmogrify is currently apart of a Kickstarter campaign. Consequently, the scope of the game depends on its level of community support. Nonetheless, even in its beta mode, the gameplay is inventive and complex. 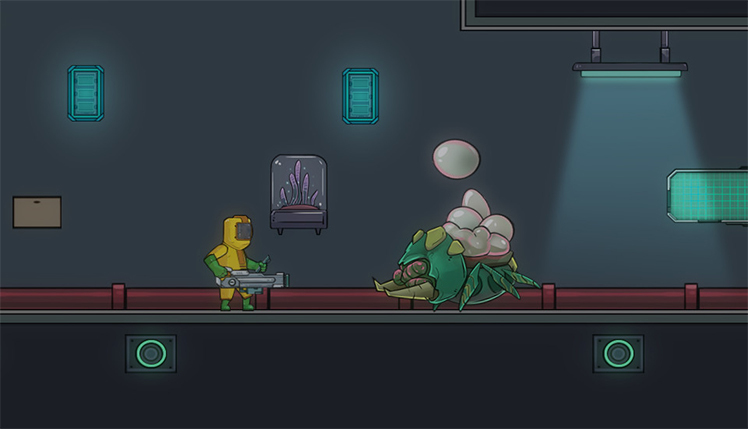 The team intends to release more than 60 short, side-scrolling levels. The intention is to challenge players to transform enemies into various puzzle-oriented objects such as blocks, springs, and switches. 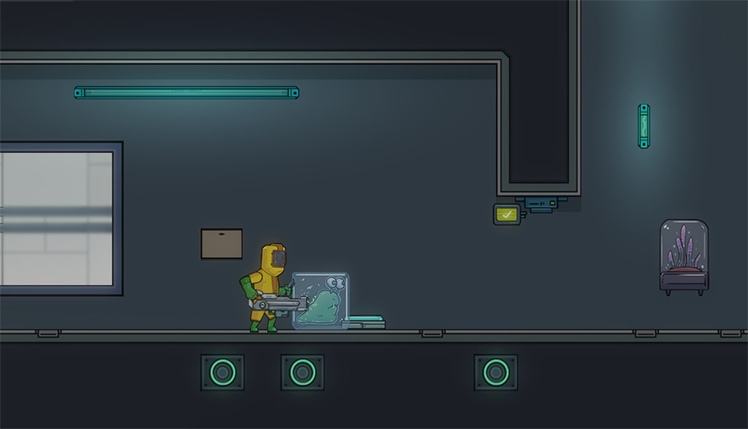 This enables players to progress through the levels. Each enemy type transforms into a different tool. The tools can interact together, allowing for novel solutions to obstacles. In this way, Odyssey picks up where video games like "Viewtiful Joe" and "The Legend of Zelda: Breath of the Wild" left off. As a result, they give players a handful of new tricks and challenges. Kickstarter funding dependent, Odyssey Entertainment has plans for other game modes to be added. For example, "Monster Mode," in which gamers will reverse roles and take on the protagonist as one of the enemy monsters. Other playable characters may become available in the primary game mode. Stretch goals for the project include leaderboards to track high scores for individual levels within the community and a full multiplayer mode that may allow for cooperative puzzle solving or competitive deathmatching. How these might play out remains to be seen. Finally, the team elected to create the video game with the open source Godot game engine, which will give fans the ability to easily produce mods, levels, and other content to keep the game fresh and replayable. Scheduled for release in January 2019, this game exemplifies the grassroots ethos taking over the gaming industry. Produced by a small team, using an open source game engine, financed by prospective fans of the series, and distributed by Steam in lieu of a major publisher, it nonetheless aims to make its mark on the industry with sleek game mechanics, rich aesthetics, and storytelling. If successful, it may serve as another nail of conventional wisdom which dictates that higher budgets and flashy graphics make the game. 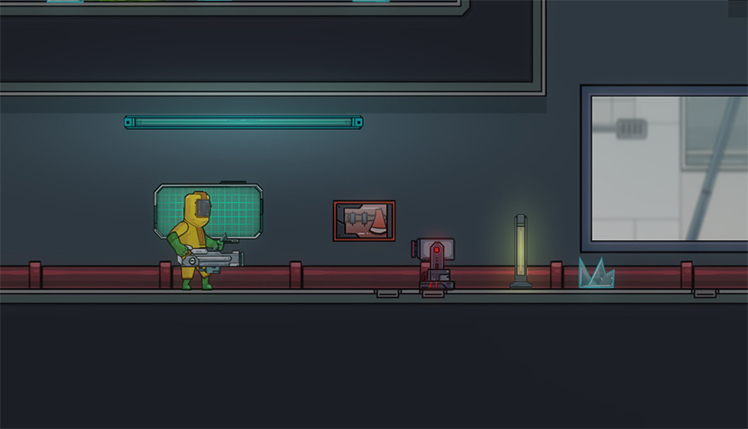 Suit up in the sci-fi platformer, Transmogrify! 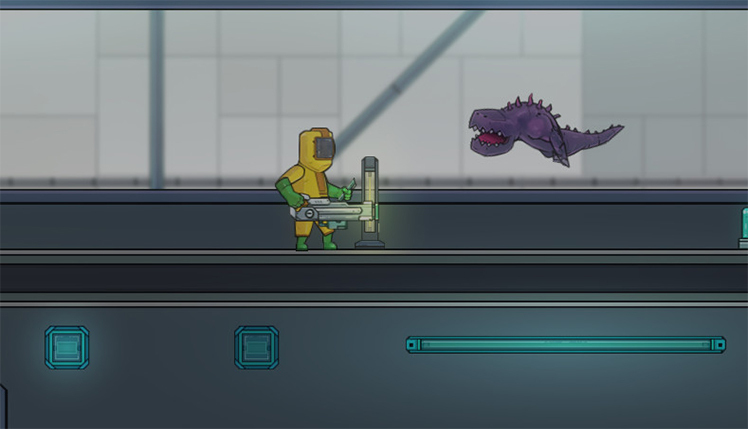 Wield an unconventional weapon and turn your monstrous enemies into crazy objects to solve puzzles. © 2018, Odyssey Entertainment. Odyssey Entertainment logo, Transmogrify, the Transmogrify logo, are trademarks or registered trademarks of Odyssey Entertainment. in the United States of America and elsewhere. All rights reserved.